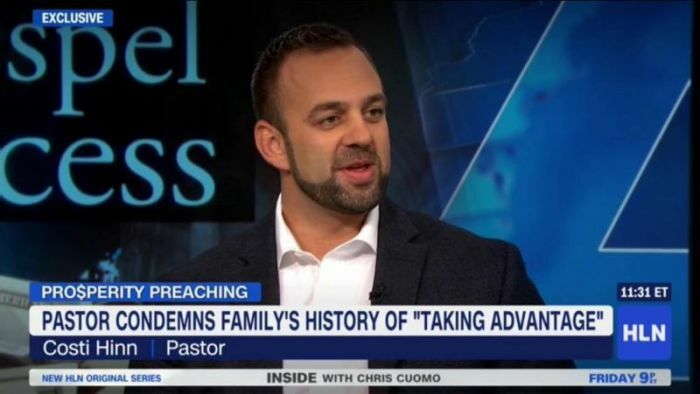 Costi Hinn, nephew of televangelist Benny Hinn, has identified five types of “dangerous” church members and encouraged pastors to protect the “precious bride of Christ” from such individuals. The first kind of dangerous church member, Hinn said, is the “money manipulator,” a person who either gives significantly to the church to “manipulate their agenda,” or they refuse to tithe because they don’t get their way. Second, the “sideline spectator” is an unhealthy church member, Hinn said, because their pride holds them back from using their gifts to benefit the church and serve others. “When VBS needs volunteers, the food pantry needs a cook, the campus team needs ushers, or the children’s ministry needs a teacher, they shrug it off with sentiments like, ‘Let the paid guys worry about that. That’s why we put food on their table,’” he said. The third type of dangerous church member is the “extortionist,” or an individual who uses their position or wealth to manipulate a pastor’s message. Hinn identified the “blame gamer” as the final dangerous church member. This individual, he said, blames the pastor for their own issues and sins. Previously, Hinn, who rejected the teaching of his "Uncle Benny" after working alongside him for years, explained there is a clear model in the Bible for keeping relationships with people for the purpose of evangelism. "I want to keep that bridge up," he said. "Flame-throwing and being angry and going ad-hom on arguments and character assaults of my unsaved or charismatic friends or third-wave followers is not going to get me anywhere." The Bible gives instruction on how to address loved ones who are caught up in false or misleading teaching, Hinn said, referencing Jude 22-23. The passage states, "Be merciful to those who doubt; save others by snatching them from the fire; to others show mercy, mixed with fear — hating even the clothing stained by corrupted flesh." "I've let my Uncle Benny be in that third category," he said. "I have mercy on him with fear. I'm very concerned for his salvation, I want him to be saved, I hate the sin, I hate the prosperity gospel, but I don't hate him. I want to see him saved." While there are some who need to be "snatched from the fire," Hinn said it's impossible to do so "if I have spent my time with people insulting them and debating foolish controversies and spending too much time in vain wrangling." "I'm not going to get the opportunity to be the one to harvest that soul," he explained. "God will use somebody else, because He's gonna save who He's gonna save, but we have to make sure we are keeping those relational bridges up. When people are ripe for the picking, I want to be ready. I want to have relationships with people who know they can come to me. So we need to keep our doors open and our Bibles open and our hearts and ears open."